Your determination runs deeper than the numbers on a thermometer. 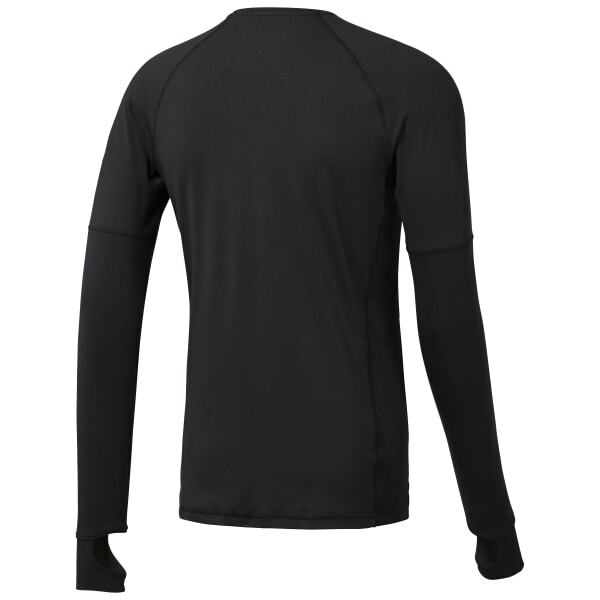 Our long sleeve men's shirt, made with Thermowarm Touch technology, helps keep your cold cardio sessions dry, warm and comfortable. 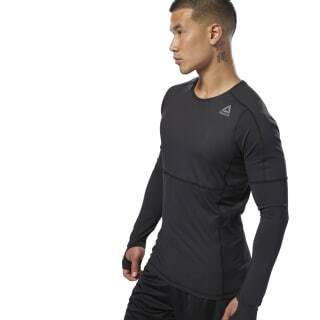 Large thumb holes at the cuffs help keep wrists covered while you work out.